The Federal Motor Carrier Safety Administration (FMCSA) recently announced that the trucking industry will be required to continue with the same level of random drug testing in 2015 as was required in 2014. In 2014, a two-week strike force targeting drivers who tested positive for drugs resulted in cases against 205 drivers. There was an additional 138 cases filed against transportation carriers. Drivers involved in these cases were responsible for operating vehicles which were transporting hazardous materials, as well as vehicles carrying passengers. Truck drivers who operate under the influence of drugs and/or alcohol put everyone else on the road in grave danger. If you have been injured in trucking accident, please contact an experienced Westport personal injury attorney to discuss what legal compensation you may be entitled to for your pain and loss. Call Richard H. Raphael, Attorney at Law, at 203-226-6168 today to schedule your free consultation. A U.S. Senate panel recently approved a proposal to financially reward auto workers who expose safety defects—defects about which a manufacturer may not be forthcoming. The 13 bipartisan members of the Senate Commerce, Science and Transportation Committee unanimously voted to now bring the measure to the Senate floor. The proposal was developed as a result of General Motors’ massive recalls for defective ignition switches and Takata Corp’s defective airbag inflators. Investigations into both companies revealed that there was prior knowledge of the safety issues, as well as attempted cover-ups. 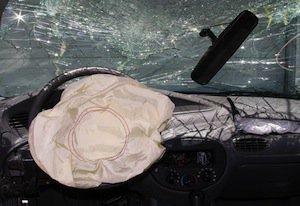 The defective ignition switches have been blamed for almost 400 deaths and thousands of injuries. The defect causes the ignition to switch in a resting position, which then shuts down the steering, brakes and airbags. Documents released last year revealed that design changes were made to the defective switches; however, the company failed to follow proper government regulations which apply to these types of changes. GM agreed to a $35 million fine imposed by the National Highway Traffic Safety Administration (NHTSA). In addition to the fine, the company is also being investigated by the U.S. Department of Justice (DOJ) for possible criminal charges. The Takata airbag recall, which involved 17 million vehicles, was a result of at least six deaths and dozens of injuries, caused by the airbags exploding and spraying victims with pieces of metal shards. The NHTSA has accused the company of not cooperating with their investigation, and last month began fining the company $14,000 per day. If the measure is approved and passed into law, anyone who comes forward to share information regarding product defects or other safety violations would receive up to 30 percent of the amount the company pays in penalties. Those who would qualify include any auto manufacturing employees or contractors, auto dealerships, and auto parts suppliers. Information could be reported to either the U.S. Transportation Department (DOT) or the DOJ. If you or a loved one has been injured in an accident which was the result of a defective vehicle part, an experienced Westport personal injury attorney can help. Call Richard H. Raphael, Attorney at Law, today at 203-226-6168 to schedule a free consultation. For many parents, the act of seeing their children off to school every day is routine. Each morning, children get on a bus and head to school for the day. At the end of the school day, children get back on the bus and return home. However, every year, children end up in the emergency room—instead of at school or home—when they become victims of school transportation-related accidents. According to the National Highway Traffic Safety Administration (NHTSA), since 2001, 1,236 fatal motor vehicle traffic crashes have been classified as school transportation-related. An average of 137 fatalities per year are school transportation-related crashes. Additionally, 123 children under the age of 19 have been killed in school transportation-related crashes since 2001. Twenty-six percent were killed by different vehicles involved in the crashes. Forty percent of the children killed in these school transportation-related accidents were between the ages of 5 and 7. Although many of these accidents may be due to the negligence of a school bus driver or another vehicle’s driver, many children become victims because of a driver’s failure to obey a school bus’s warning lights and stop sign arm as children are boarding or getting off the bus. Every year, the National Association of State Directors of Pupil Transportation Services (NASDPTS) conducts a one-day survey across the country to find out how many drivers illegally pass stopped school buses. In 2014, 29 states took part in the survey, including school districts in Connecticut. More than 98,000 school buses nationwide participated. 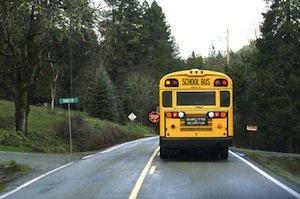 The results of last year’s survey indicated more than 75,966 drivers illegally passing school buses in one day. With the majority of school districts on a 180 day school year schedule, that comes out to more than 13 million vehicle drivers ignoring—or not seeing—the school bus stop arm in an extended position. The reasons drivers illegally pass school buses include distracted driving, speeding, weather conditions, or driving under the influence of drugs and/or alcohol. When struck by a vehicle, the severity of a child’s injuries is determined by factors including the speed the vehicle was traveling, the size of the vehicle, and at what angle the child is struck. Studies show that the most common injuries to children who are hit by cars include injures to the head (traumatic brain injuries) and neck, followed by musculoskeletal injuries. If your child has suffered injuries in an accident caused by a negligent driver, please contact an experienced Westport personal injury attorney to find out what legal recourse you may have for your child’s pain and loss.